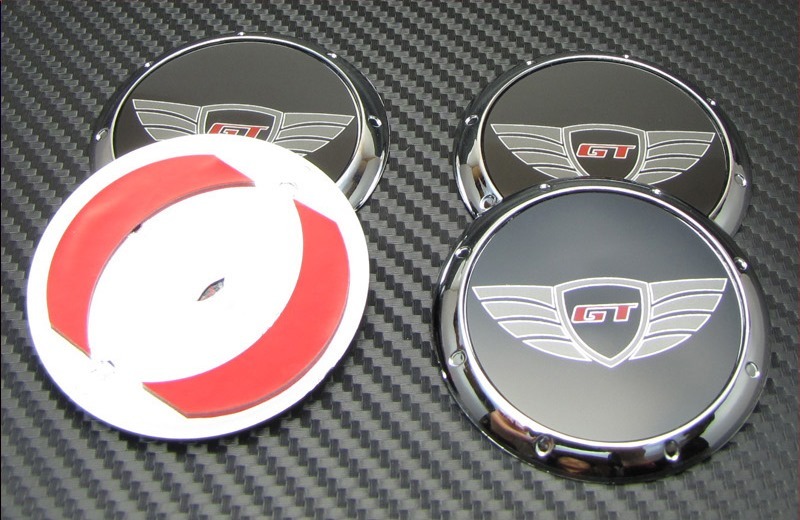 Vivid Designs "GT-Wing" style wheel cap re-badging - this is an overlay-type that sticks right on top of the original wheel caps that came on your car from the factory. 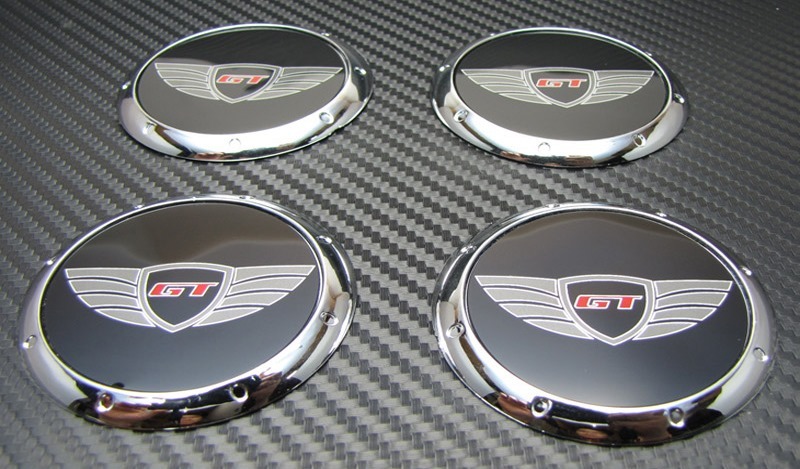 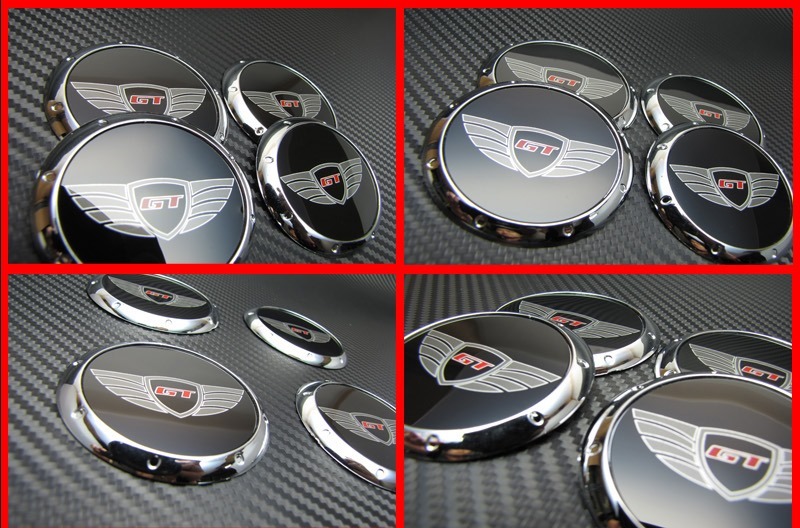 The GT-Wing rebadging wheel caps are compatible on any OEM wheel with 59-60mm logos (approximately 2.4"). 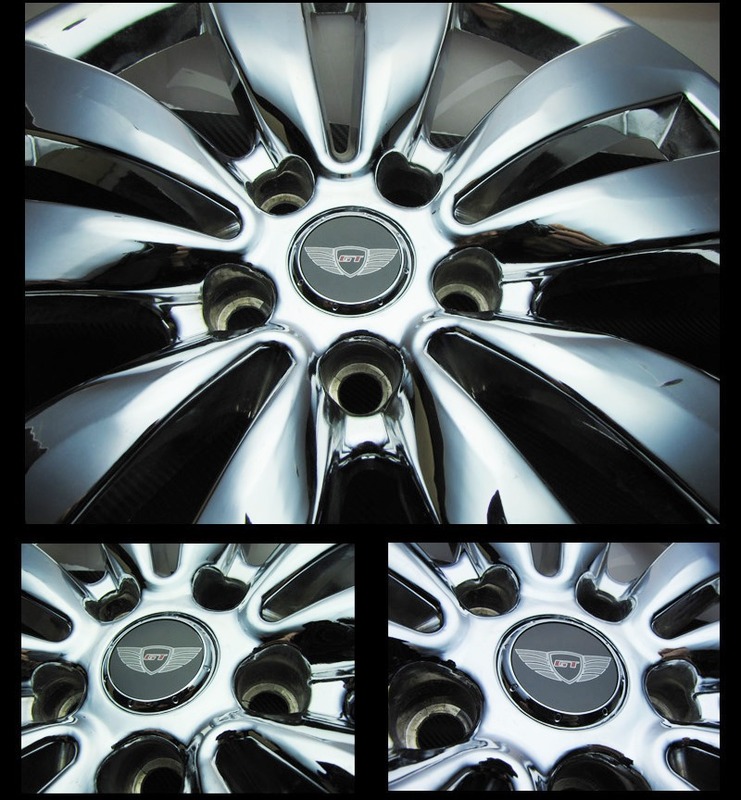 Includes all 4 wheel caps.